It was further reported that the former governor and current caretaker committee chairman of the Peoples Democratic Party is unhurt. Peoples Democratic Party caretaker committee chairman, Senator Ahmed Makarfi has been reportedly involved in an auto crash. According to a report by Premium Times, a vehicle conveying the National Chairman of the Peoples Makarfi, was involved in a multiple collision with other vehicles along Abuja-Kaduna Highway. “This is to allay the fears of our Party members, teeming supporters and well wishers who heard of the accident and have been making frantic calls; as well as those who may stumble on half-baked information,” Mr. Adeyeye said. 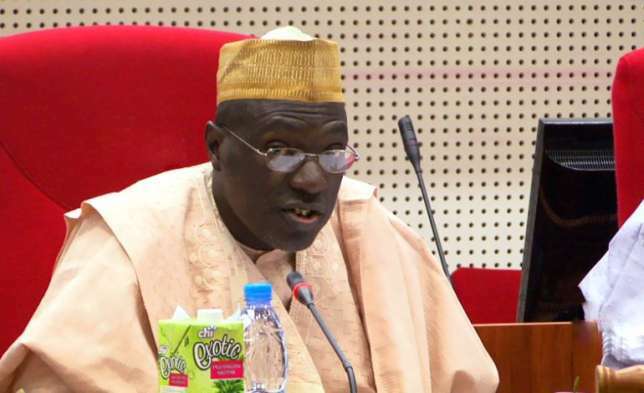 Makarfi recently got the nod of the Supreme Court to assume leadership of the former ruling party which had been rocked by leadership crisis since its loss at the 2015 presidential polls.